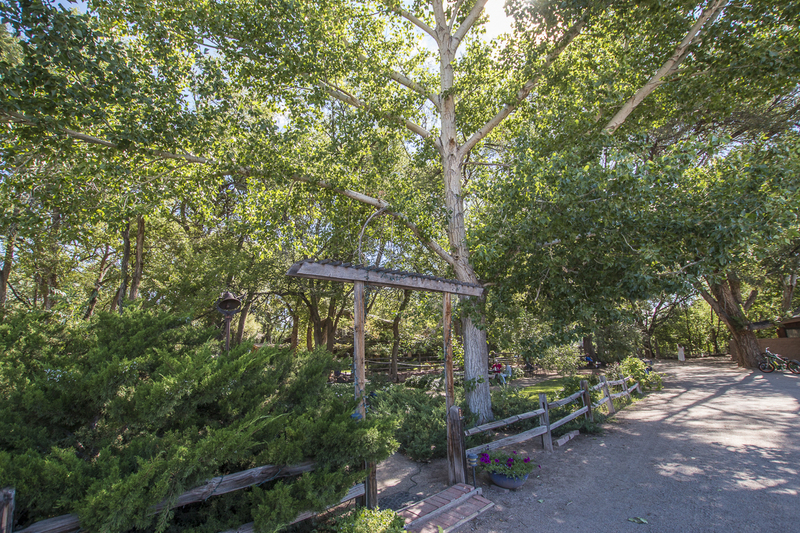 We like to think of Old Town Farm as the “green heart of the city”. 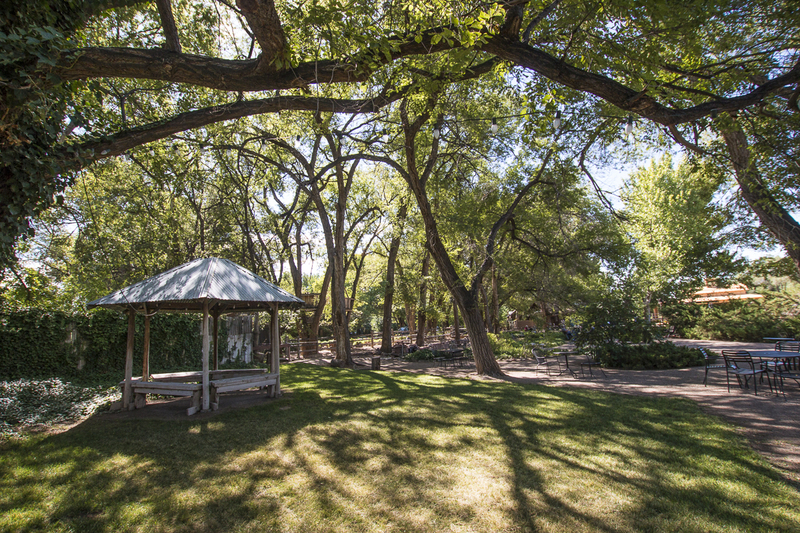 Located just west of Old Town and just east of the Rio Grande, OTF is situated on 12 acres in one of the most historic settings in New Mexico. Although Albuquerque was settled in 1706, Pueblo Indians lived and farmed here long before the Spanish arrived as evidenced by the many pot shards found while digging post holes. The Duranes Lateral, which forms the western boundary of OTF, is reputedly the oldest registered ditch in North America. To this day, the “Madre de Duranes” provides water to irrigate our pastures. 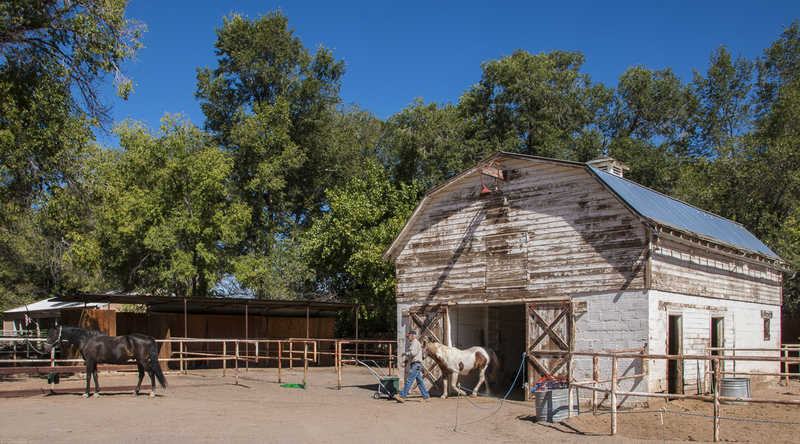 Since 1977, Old Town Farm has operated as a horse facility and produce farm. But in those 35 years, the city has truly grown up around us. 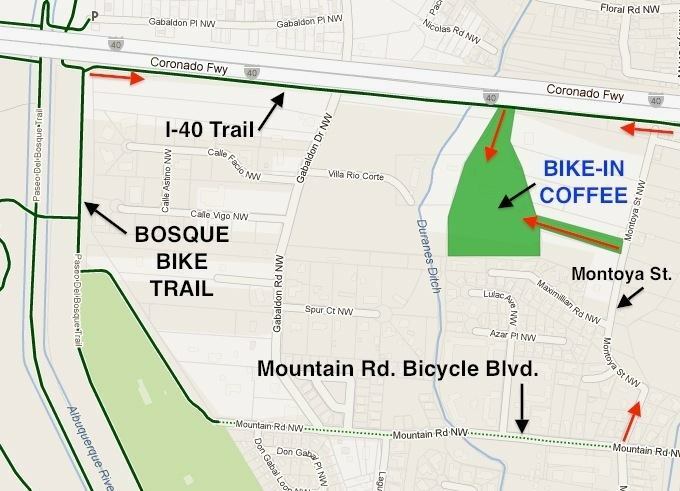 The Bio Parks, the museums and the bike paths now surround us, all within walking distance. Our dream for OTF is to keep its farming character while adjusting to its urban location. Toward that end, we invite you to check out the various activities on this website and then think about contacting us to schedule a visit to Old Town Farm. 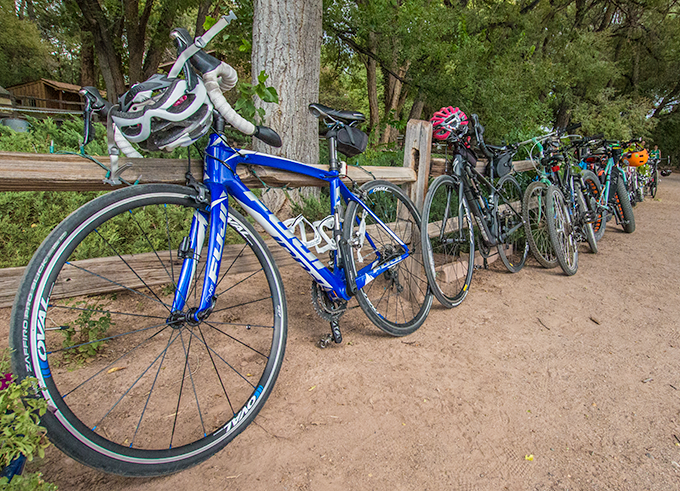 Bike In Coffee at Old Town Farm is the first bicycle-only coffee hangout on a farm in Albuquerque! 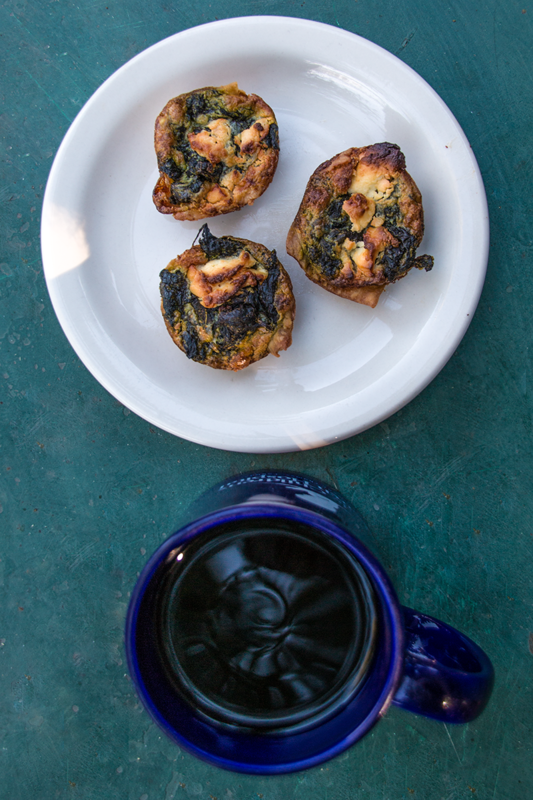 Come by on Saturday or Sunday between 9am and 2pm to: drink coffee and eat some garden-fresh Quiche, soups, salads, crepes and cakes in the sun in the flower garden or under the trees. When the mornings warm up in April, we'll be open at 8 am. 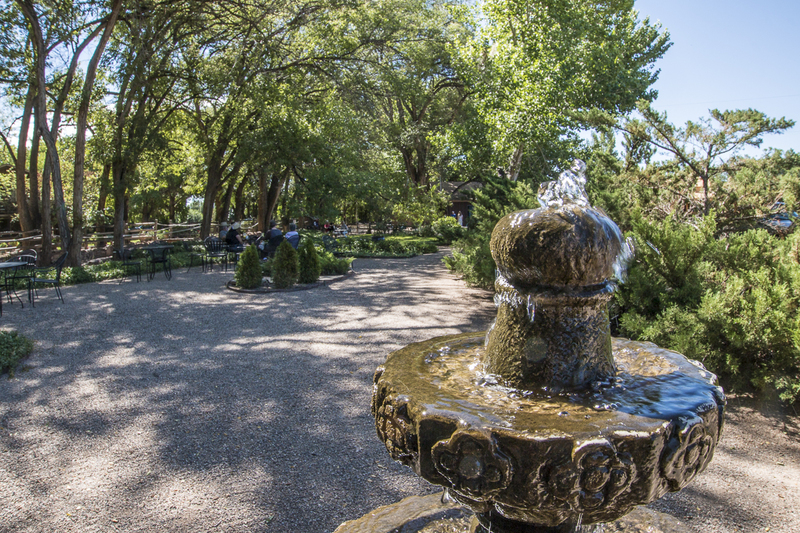 Read the morning paper, toss some horseshoes, use our Wifi to upload selfies with our horses, read your favorite book, visit with friends, or just take a break from riding your bike and pick-up some fresh produce for dinner. 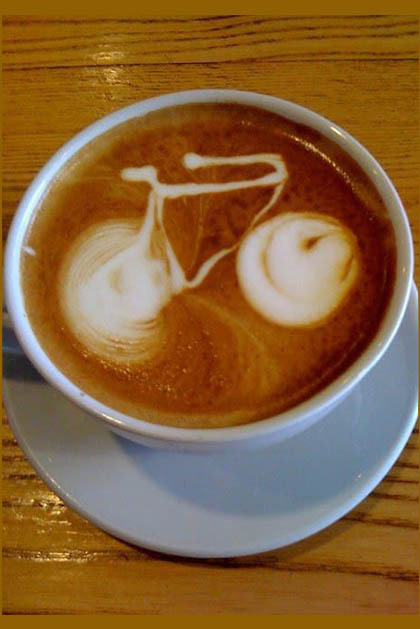 We look forward to seeing you this spring at Old Town Farm's Bike In Coffee! Weddings, anniversaries, workshops, retreats…they’re all about memories. 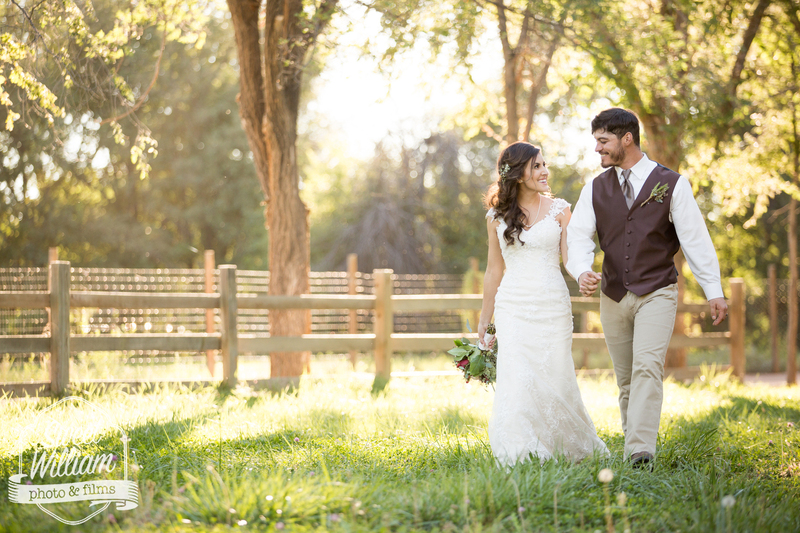 An event at Old Town Farm makes those memories vivid and lasting. 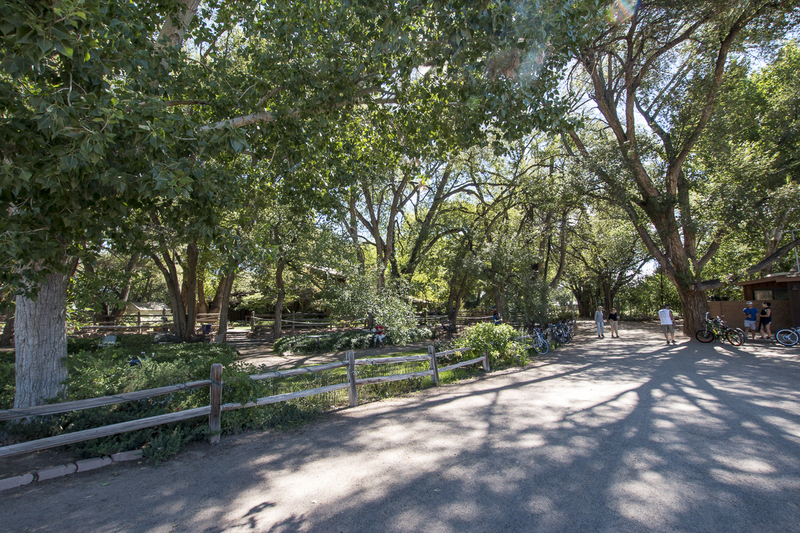 Under the trees or in the red barn, your family and friends will be surrounded by an island of natural serenity in the heart of the city. Horses, flowers, vegetables, pastures, trees…and room for an extensive guest list…all part of a most memorable event at Old Town Farm. Thinking about a “green wedding”?…that’s always an option at Old Town Farm where we grow our own produce and flowers naturally. Click on images to enlarge... and picture your special occasion in these beautiful surroundings! 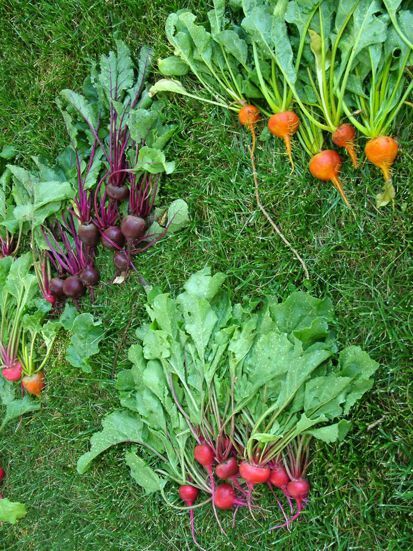 For 35 years we’ve cultivated a large produce garden at Old Town Farm. Our extended Albuquerque family was always the beneficiary of the many fruits and vegetables coming out of the garden, but several years ago we decided to expand. 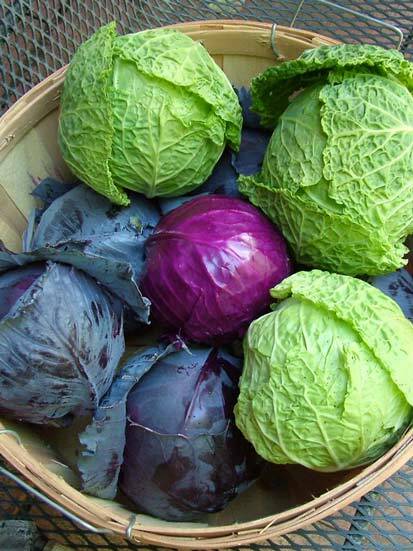 With an enthusiastic reception from the neighborhoods around us, (Old Town, West Old Town, Duranes, Sawmill and The Country Club), OTF began providing weekly baskets of produce for pick up or delivery. 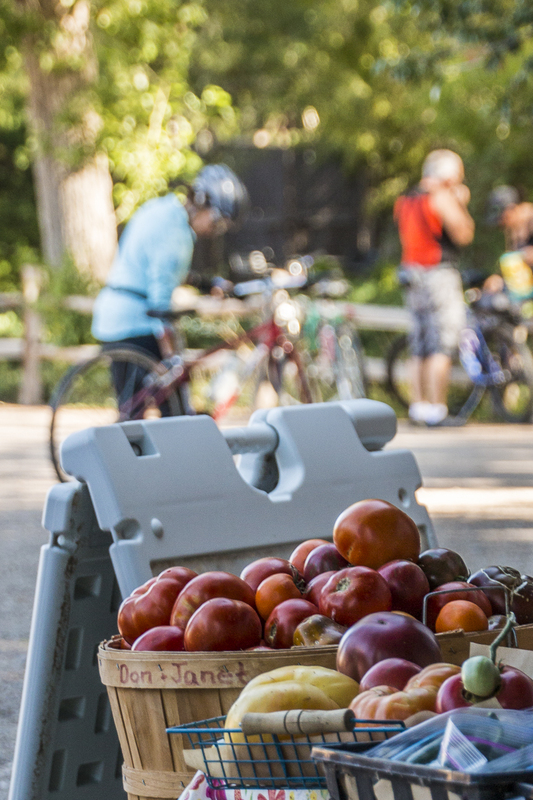 In addition to selling on Saturdays at the Downtown Growers Market, OTF also offers produce for sale at the farm on Friday mornings and then again on Sunday mornings, (for bike-in customers). We call it Point & Pick… You point out what you want and we pick it. 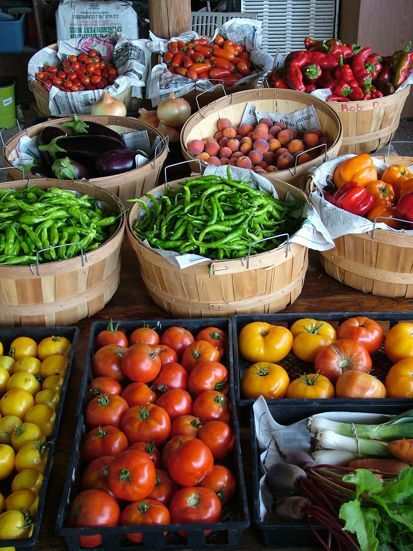 It doesn’t get any fresher than that! Also this year: Flowers! Eggs! Honey! Oh My! Once a horse farm, forever a horse farm. Since 1977, Old Town Farm has raised, trained, boarded, imported and sold some very special horses. 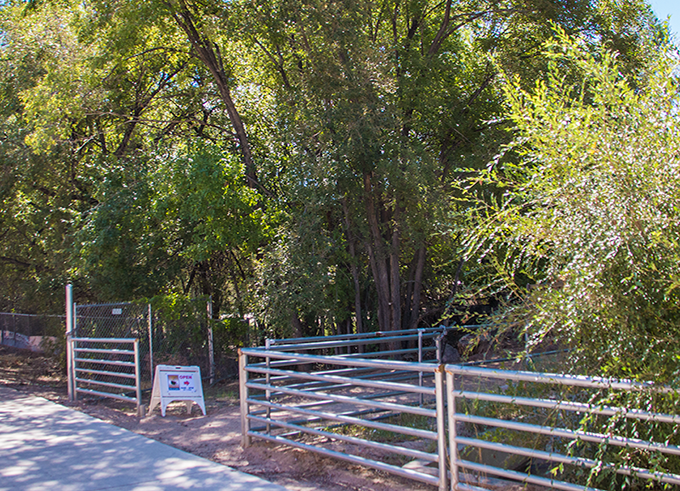 Enjoying our ½ acre covered arena, access to bosque trails, and location in the heart of the city, literally hundreds of horses have passed through this farm in the last 35 years. Host to many shows and world class clinicians, OTF has been a center of learning for the equine arts and sports. At one time, home to more than 35 horses, primarily dressage and hunter/jumpers, OTF has recently downsized the equine side of the business to make more room for the horses that remain as well as the produce garden. Still…once a horse farm, forever a horse farm. 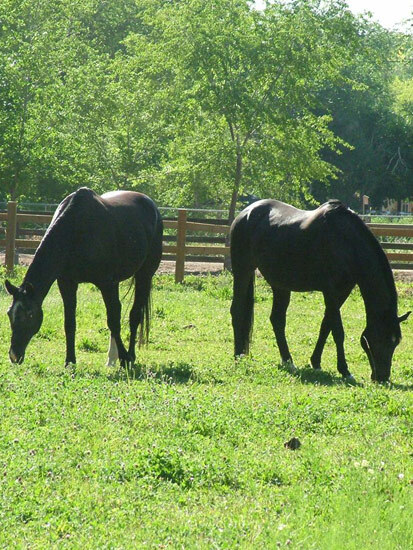 You will always find horses grazing in the pastures at Old Town Farm. Questions? Comments? Suggestions? We'd love to hear from you! Please use the form below to email us.